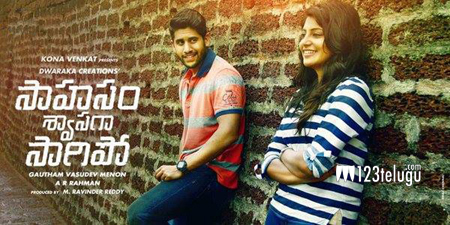 The much awaited audio of Naga Chaitanya’s Sahasam Swasaga Sagipo is finally out in the market. Composed by the legendary A R Rahman, let’s see how this album turns out to be. Analysis : The album kicks off with ‘Shokilla’, a complete fast based techno number. The beats are quite hep and the tune is quirky. Though this is not among the best tunes of A R Rahman, this number might sound good once you watch it on screen. Interesting aspect of the song is the innovative singing which makes things slightly better. Analysis : The second song in the album is a soft techno number Kannula Mundu. Sung beautifully by Haricharan and Chinmayi, this number has some very good lyrics by Krishna Chaitanya. The way repeated words like ‘Eroje’ are used in this number keeps the flow of the song intact. As usual, Rahman’s composition is soothing and grows on you once you listen to it multiple times. Analysis : Moving on, the third song is Chakori which is an interesting number. What hits you instantly is the mix of traditional and westernized beats in the song. Half way through, the song changes track and becomes quite Indian and Rahman scores brownie points with his beautiful composition. An instant winner, this song will grow on you even more once you watch the beautiful visuals. Analysis : The fourth song in the album is the poetic Tanu Nenu. One of the best songs in the album, Tanu Nenu has a beautiful soul attached to it. Right from the simple composition to the beautiful lyrics by Anantha Sriram, this song has an aura which makes you fall in love. Analysis : The album ends with the already hit number Vellipomake. Probably, the best song in the entire album, it has trade mark A R Rahman flavour written all over it. Be it the funky composition or the simple yet meaningful lyrics, this is a chart buster and is one of the best compositions of Rahman in the recent past. On the whole, Sahaasame Swasaga Saagipo is surely not the best works of A R Rahman. Having said that, it surely has the weight and promise to impress his fans. Like every Rahman score, you need to give his album a multiple listens to like it even more. Tanu Nenu, Chakori and Vellipomake are our picks and sure shot hits. Finally, you will end up liking this album even more after you watch Gautam Menon’s beautiful visuals on screen.